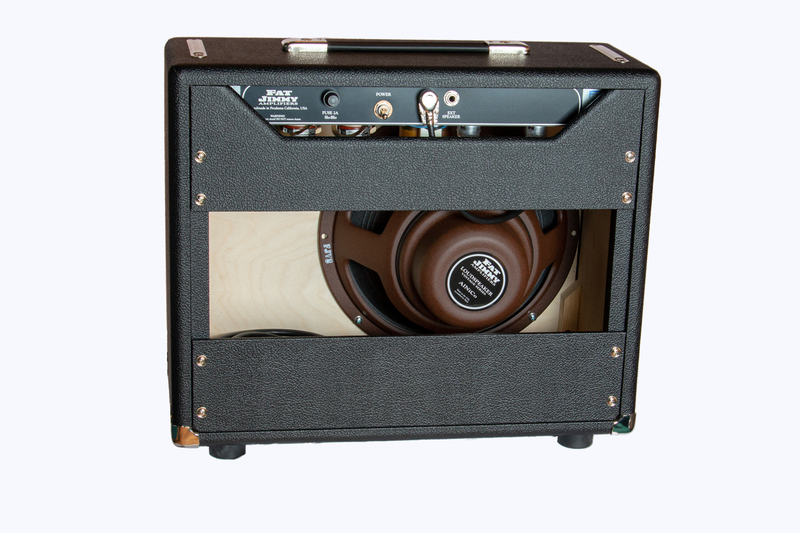 The Fat Jimmy Vintage Series 5E3 is our meticulous recreation of the famous 5E3 ‘Tweed Deluxe’ circuit. 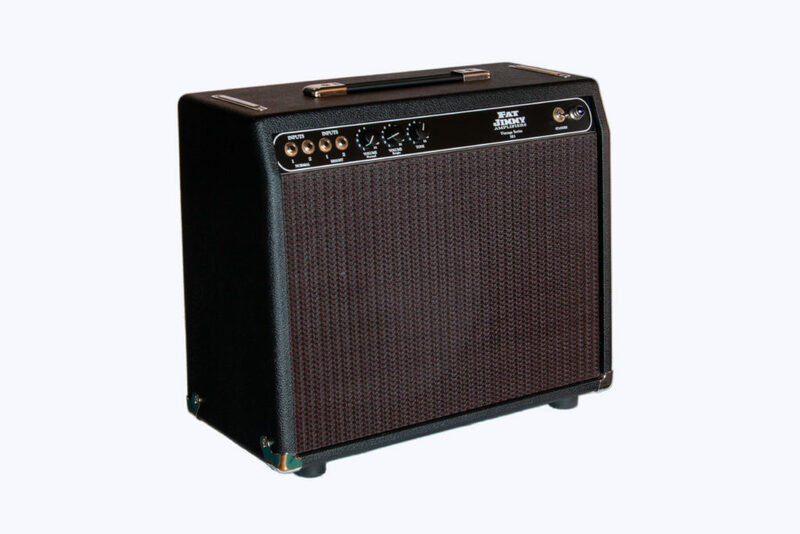 This circuit was featured in the 1 x 12” tweed ‘Deluxe’ amplifier combos manufactured by the ‘Fender Electric Instrument Company’ from 1957 – 1959, and is universally acknowledged as one of the most iconic guitar amplifiers of all time. True both on stage and in the studio. Incredible chime with beautiful rich clean tones at lower volumes, and what might be considered the definitive rock & roll overdrive when turned up. Crank it all the way for godlike tone and sustain…. 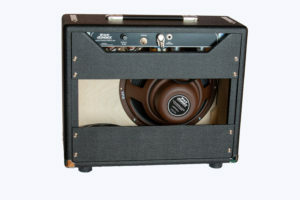 The 5E3 circuit is Neil Young’s main amp! Also used by ‘The Edge’ from U2 and countless others… this should give you a good idea of just how versatile this circuit is. The volume and tone controls in this circuit are wired in a very unique way that makes all controls extremely interactive, even the volume controls of the different channels affect each other! We’ve also done just a little tweaking… we’ve tightened up the bottom end just enough to eliminate the low end ‘flub’ common in the original circuit. We’ve also added a standby switch. 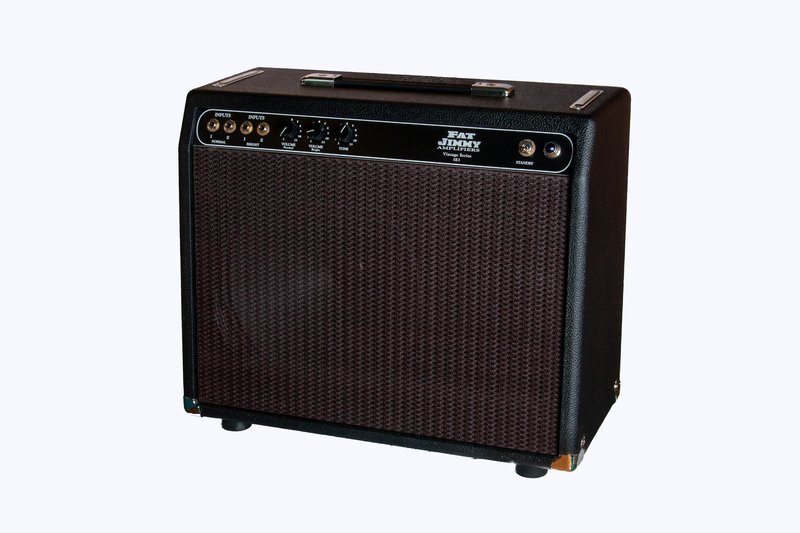 With the original 4 input setup players also can ‘jumper’ the two channels for even heavier overdrive and thicker distortion at lower volumes… You can also change the rectifier tube to a 5AR4 to give you some more power and headroom. Our ‘front panel’ version gives the player easy access to the controls. This is much more convenient than the rear/top controls of the originals and most other ‘clones’ on the market. Our pine cab is the same size as a Princeton Reverb!